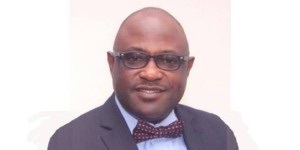 Determined to take insurance practice in the country to lofty heights, the Managing Director/Chief Executive Officer, FBN General Insurance Limited, Olabode Opadokun, in this interview with Chuks Udo Okonta, said he would leverage the enormous economic opportunities to widen insurance space. Now that a new MD has come on board, what new things are you bringing to improve the brand of FBN General Insurance, especially, in a challenging business environment? When you look at our market and the society, insurance is a hard sell. It’s a line of business that people still have fear. Anything that relates to insurance in Nigeria, we must try as much as possible to do it in a positive manner, so that we don’t create more challenges for the industry. Be that as it may, going back to the question that you asked, I assumed this position precisely on the 1st of May 2016, and got NAICOM approval on the 13th of June,2016. My mission here is very simple and clear, it is to reposition, rebrand, and more or less make it a company that will withstand the test of time, in terms of productivity, staff welfare, customers as well as taking it to a profit-making venture. There are a lot of things we have designed prior to my joining and even after I have resumed. What are these things? Basically, its to drive the income of the institution in such a way that we will not only be seen to be developing the company, but also developing the market size of the industry. If there is anything that will be advantageous for us as an institution and the country at large, then, it is the population. And what I want you to realize is that in practice, majority of insurance companies all run after the same insurance business. As it is today, in terms of contributions to the GDP, the industry is still contributing less than one per cent. And if you are talking of a way we can develop the market, is more or less to see a way we can develop new market, that is, creation of new markets. How can we take advantage of creation of new market? It is through the population that we have. Our own focus would be more of driving the retail side. This are the people that have not really been, in terms of appreciating the worth and benefits of insurance. You will discover that most individual do not have insurance policies. Our focus would be more of driving the retail side so as to increase the premium income for the industry and at the end of the day, we would have been seen to be contributing more to the income of the industry and increase the level of insurance contribution to the GDP. How would you rate the performance of the promo FBN General Insurance recently launched on Comprehensive and Third-Party Motor Insurance? In terms of the market acceptability of the product, I will said it was quite an average result, but I believe the period of the promo was very short and we are still able to get some market acceptance within that short time. Two things we have been able to do with the promo. First, to create awareness on the benefits that are available under the motor insurance policies that we have. Part of the reasons that informed that product is, people are very sensitive to price and at the same time, some people look at it that there are some benefits that is under the comprehensive cover that they don’t really want. It is just to try to give them the option of choice from the available products. That is what informed that and I strongly believe that by the time we do the next promo, it will be something that will be very good, and the performance would be better than the first one. It is always expected for a product that is just newly introduced to have a fair result, but as we move on, acceptability will improve in terms of patronage, we believe would be on the increase. But it was a worthwhile experience and we believe that there more of such would be coming up apart from this particular one. Going by how the previous insurance bill was handled, how optimistic are you about the new bill and its impact on the insurance industry? In terms of being optimistic, in as much as we are not God, we cannot be so certain about something, but the intention is very clear on what we want the bill to do for us in the industry. There have been a lot of debate, suggestions and arguments over the bill, but the house are the one to take the decision on that. Our own roles are to be able to put things together and contribute towards making sure that the right thing is eventually signed on by the government. The impact is that it is going to sanitise the industry, allow the industry to stand together and act as one. A lot of disagreement that happens because of different bodies that we have as it is presently, by the time the bill is signed, we would have been able to address this. And we believe of course, insurance is a single profession, whether you are an adjuster, broker or underwriter, we are all professionals in this industry,only that the roles individual plays differs, but they are all key to the practice of insurnance in Nigeria and allover the world. What are your plans on product research and development? Product development is something that is ongoing. The need for insurance differs and there are individuals whose needs are equally different. There are different groups and associations that exist as well. In the case of insurance, the need for Mr. A might not necessarily be for Mr. B. So, what we have been doing prior before now is to take time to look at the different needs of groups and associations and identify those insurances as relates to what they do. Insurance need for manufacturing industries is not the same needs for insurance for hospital, neither for a market trader. So, what we have been doing is to identify each associations and groups and also understand the risk each and everyone of them is exposed to and come up with a product that really meet the need of each of the identified people. But clearly, the level of sensitization, in terms of reaching out to people in terms of benefits that stands to benefit in a policy, is even more critical, because no matter how good a product is on paper, if you don’t communicate it to people, the buyer or the users, there is no way we would have achieved anything. So, we are combining both our market research product development with communication. We believe that is the only way we can achieve the set objectives of making people to see the worth and value of insurance. What about harnessing insurance in the grassroots? I think, basically, having mentioned that our focus is going to be retail, of course, to harness the opportunities, we are working on our distribution channels. There are various distribution channels that we are working on which is going to cut across, both physical, that is, the agency network, and we are going to make use of technology and at the same time, we are going to make use of different associations and groups, mainly professionals that can sell insurance on our behalf. But clearly, the way to penetrate is just working more on our insurance distribution channels. What are the effects of the new CBN Forex policy on insurance? It is a good thing that the forex policy came up at this time, because what we are doing in the time past, is not something that we can really sustain, whereby the official price was pegged and the black market, which is more or less, the parallel market, seems to be almost times two of the official price at some point, if not more. But as it is, the level of demand and supply determines the price and the effect of this on insurance today is that most of our oil and gas related insurances that were dollar-denominated policies are more stabilized. As it is now, it affords everybody to develop his dollar-denominated fund. Currently, where you paid premium in dollars, the sum assured or settlement is going to be in dollars. Here you can, as well, play with your dollar account, in terms of whether to invest it in treasury bills, fixed deposits or commercial papers in the same denomination, rather than conversion to naira. Because the challenge you are going to have is that, conversion today is like gambling, you never can tell what it will look like tomorrow. So, the only different we are having now is that most organsiations would be operating their dollar-denominated accounts separately from that of Naira policy and that is the very safe rather than say, you want to convert to the local currency, because you want to invest, believing that the return on investment would be higher on the naira denominated. But the challenge is, whatever you realize from such an investment, you are not sure whether you will have been able to address the fluctuation that will come thereafter. The way it is now is, the strategy that we used in the past, is going to be different from what we are to use today to manage our dollar denominated policies. Recently in Abuja, the issue of idea of Infrastructure investment was mooted and most of the operators believe they can invest in infrastructure through Annuity fund or the statutory fund deposited at the CBN. Do you think this is achievable? For me nothing is impossible. What is just required is for us to have a clear understanding on what we really want to do. Because, it is good they are talking about Annuity. For General Business, we might not be able to do so, because our fund is a short term. The risk that we managed is not a long term risk. So, the level of commitment of insurance companies like ours is the General Business cannot be as much as compared to a life office, but that does not mean we cannot play, but only that the percentage of the fund we can commit into such project cannot be compared to a life office that have a long term fund with it, but it’s a good development for us, because if you look at it, the challenges we are having as a nation in driving our business today is the cost of providing infrastructure for ourself is so much that if the platform can be provided by government, and allow private sector to participate, it’s surely going to help in the long run to determine the level of the operational cost because the operational cost of the business today is so huge that it’s really affect most of investment of most organisation. In terms of growth in the industry, how will you assess the industry in the last six to seven months? In terms of growth, we have not been able to experience much growth as an industry, the reason being the fact that the government did not really come out with economic policies on time, also the budget was not released on time. Not much people have a clear understanding of the direction of the economy which really affected so many companies in terms of taking up insurance policies. So, what we experienced at the first half of this year is more or less on the average. Most insurance companies that were even able to retain their existing accounts and are able to write premium equal to what they wrote in 2015, I will say they have even tried. Because when the economy is also challenged, and inflation is on the increase. Insurance is a hard sell, people try to look at areas of cost management in all of their business activities, is not an exemption, which invariably, has resulted into lots of deduction in sum insured, rates, and even at times, you even see sum of our clients doing monthly or quarterly payment of insurance. So, rather than to pay an annual premium, some are paying, monthly, quarterly and half-yearly. So, invariably, when you look at the premium income for the industry, it is not something to be happy about. For the General side, the good things about us is that we have been able to do more than what we did for the corresponding period of last year, in terms of premium income and going forward, the government has released the budget, they have started implementing the budget and we also believe of course that, some of the public sector account, most especially, on the part of encouragement that the government has put in place, on the needs for all agencies and parastatals to have insurance in place. We believe it’s going to have a positive effect on the industry on the public sector side. On the private sector, what we have on ground that will surely help us in achieving the target that we have set for the year. There are so many things that we have put in place that will help us. We also believe that we cannot keep doing the same thing in the same way and expect a different result. On our own part, we have come up with different strategies and ideas for us to drive the business, taking into consideration, the fact that the product that we have, the business that we do is a business of promise, perception, where people don’t sometimes feels what they buy, until when there is a loss. So, what is very clear is that the promise we are selling to people could be such that we have what it takes in terms of people, turnaround times, such that we match our words with action.